Two small grassroots organizations that Patagonia supports have hit the news recently for their work on the Gulf of Mexico oil spill. The Deepwater Horizon drilling rig sank after a fire on April 22. Afterwards, John Amos, a geologist and founder of SkyTruth, went to work. Using the skill he once used as an exploration geologist for oil and gas companies, he analyzed satellite images, radar and photos from airplanes of the spill. Then, Amos challenged both the government and British Petroleum estimates that 1,000 barrels of oil were gushing daily from the wellhead nearly a mile below the surface of the Gulf of Mexico. Once Amos weighed in, federal officials and BP quickly revised the estimated daily rate to 5,000 barrels. Recently, Amos estimated that the leak is now at 25,000 barrels a day. He estimates that the slick contains more than 11.1 million gallons of oil, which would make it the largest oil spill in American history. SkyTruth was founded by Amos, who works out of his house in West Virginia. For ten years, he worked for oil and gas companies, analyzing images to find oil fields. Then, he had a change of heart. He told Grist, “Those fascinating images displayed unambiguous signs of human-caused destruction: oil slicks in the oceans, forest reserves being chewed away by logging on all sides, mines causing perpetual pollution of lakes and streams, oil and gas drilling spreading inexorably across vast areas of public land. And I couldn’t ignore the fact that I was contributing to this both personally and professionally. Hear Amos on CNBC and read about his work in the Los Angeles Times. Support SkyTruth. A gallery of SkyTruth’s images in action can be viewed here. Samples of his work are available below. We spend our days in neighborhoods next to refineries. That’s the usual landscape of the Louisiana Bucket Brigade. We work with people like Mama Seabell and Velma White – women who have raised families under the shadows of Shell’s flares and ExxonMobil’s polluted waters. Now, with the BP oil spill crisis, the communities impacted by the oil industry include the coastline, where fishing communities rely on the ocean for survival. We conceived of the map to help refinery neighbors report pollution, planning to launch it in a couple of months. As the oil leak grew to massive proportions, we realized we needed to use the map and use it now. We needed an Oil Spill Crisis Map. We made this decision on Thursday at 6pm. By Friday at 5 pm our test map was in operation. We worked out the kinks over the weekend and on Monday, May 3rd we publicly launched the Oil Spill Crisis Map. For the last six days we have been in fishing communities to try and understand how the map can help. From Hopedale and Shell Beach to Buras and Venice, the stories are heartbreaking. “This is the second time in five years I’ve eaten off a Red Cross truck,” said one oysterman, referring to the days post-Katrina. In the short-term people can’t fish, harvest oysters or run their shrimp boats. They can’t make money and their livelihoods are at risk. And the long term? 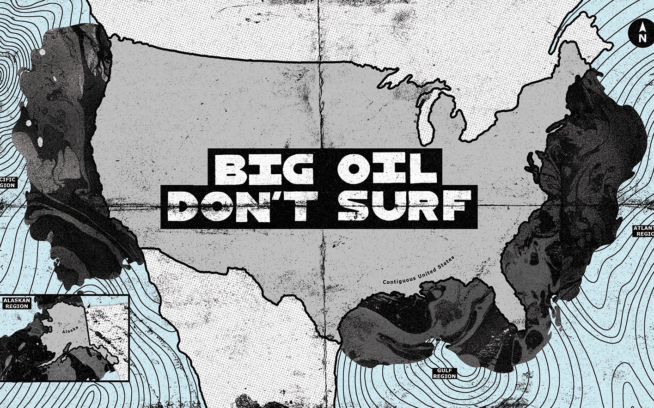 This oil spill threatens to be the knock-out punch to follow Katrina’s left hook. Sheila Ratiff of Plaquemines Parish told me about her cousin who called in tears. In debt from years of rebuilding after Katrina, they are already expecting the repo man. “We might as well just pile everything up outside our house.” Oystermen, fishermen, shrimpers – they’ve been doing this all their lives. Pictures are beginning to come in that show wildlife swimming in oil. Sting rays and sharks have been spotted in black pools of BP’s disaster. This is a tragedy for people and for the environment. If only we really could get Beyond Petroleum. The Louisiana Bucket Brigade was recently featured in the New York Times. You can support The Louisiana Bucket Brigade – click here to find out more. The hard work and dedication of these two groups inspires Patagonia to continue to support grassroots activists. Aerial image of the Gulf of Mexico oil spill as of May 10th, highlighting the leak source, its leading edges, areas of fresh oil, and locations along the coast that will likely be affected. Photo: John Amos as appears on SkyTruth’s blog. An example of SkyTruth’s terrestrial work, this image is taken from their online gallery and highlights drilling pad density on Western Wyoming’s Jonah field. Photo: John Amos.